Your Islam aims to create a reliable, quick service where Muslims can access information about their local Masjid facilities using a clear, minimal fuss and easy to use web site. The vision is simple – To provide everyone in the UK with the ability to search for local jamaat time information online! 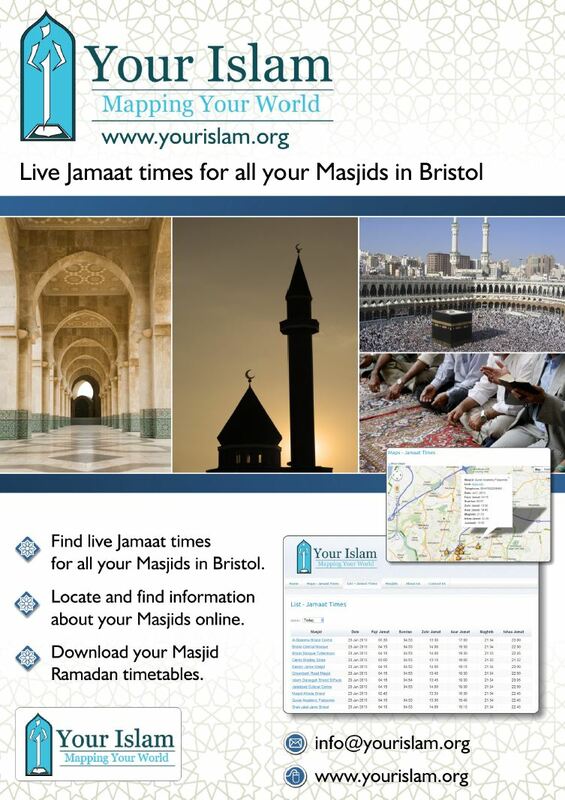 The Your Islam website is currently being piloted in Bristol so is limited to Masjids in this area. Work on expanding the site to include Masjids from other areas of the UK has already begun. Please revisit Your Islam in the coming months and tell your friends and family about Your Islam. If you have any suggestions/comments about the Your Islam website then please Contact Us.